The Acme supermarket occupying the space between Passyunk, Reed, 10th & 11th Streets, is certainly a neighborhood institution. But for nearly a century-and-a-half, this plot was occupied by an actual institution; the Moyamensing Prison. 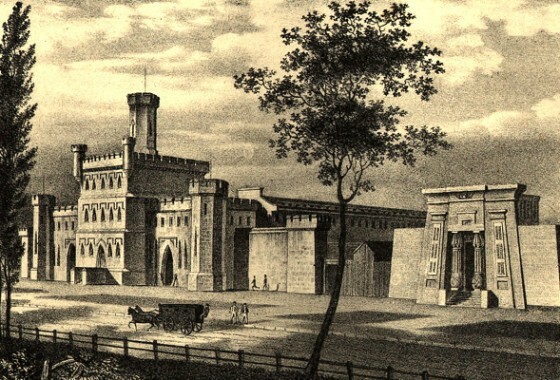 According to the marker dedicated by the Pennsylvania Historical and Museum Commission just last year, the prison was constructed in 1835 (shown above in an 1838 rendering, courtesy of Wikipedia) under the design of Thomas U. Walter. Walter’s far more famous architectural accomplishments include his oversight of the U.S. Capitol Dome and his participation in designing our own City Hall before his death in 1887. 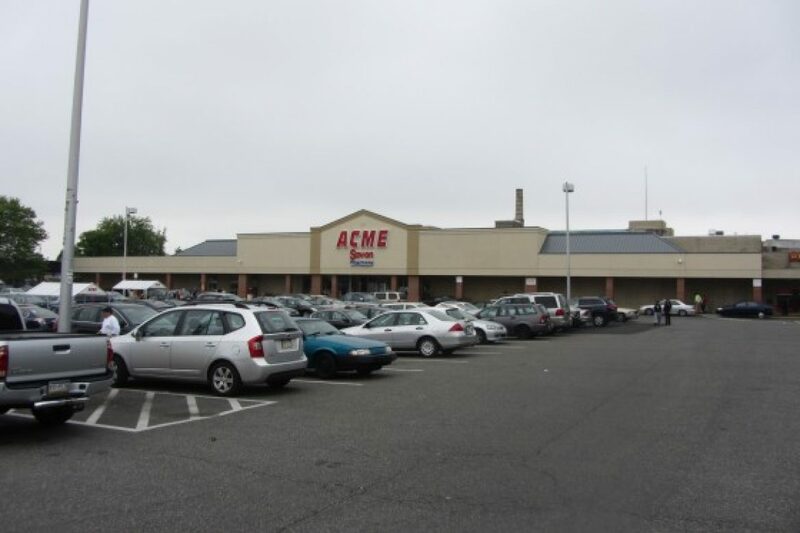 Though Walter would not live to enjoy Acme’s quality produce and everyday low prices, he would witness a good portion of the location’s colorful history. According to a photo collection by Raymond Biswanger, housed in the UPenn Libraries, Edgar Allen Poe became intoxicated, hallucinatory and suicidal one night in 1849, and slept his bender off in the prison. The plaque tells that this was also the site where H.H. Holmes, America’s first serial killer, was hanged. 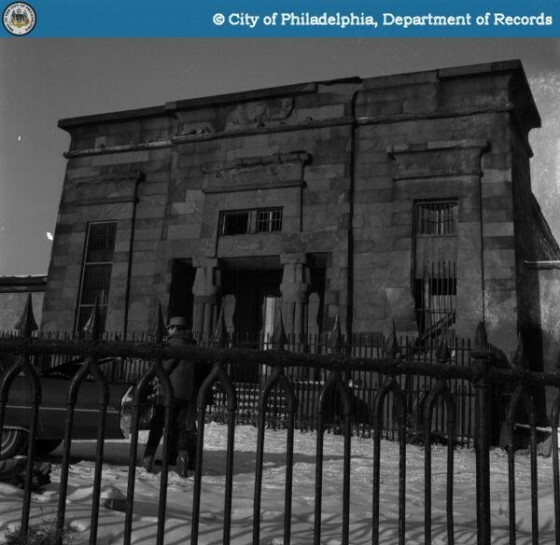 Frequently characterized as Egyptian Revivalist in its aesthetic, the prison’s Debtor’s wing (in a 1968 photo from the Philadelphia Department of Records) particularly resembles a place where embalming might have occurred. In fact though, because it was no longer considered proper convention to imprison the indebted by the time of the prison’s opening, this became the women’s prison. Many of the neighborhood’s long-term occupants will surely recall the unusual building whose front entrance held the address at 1400 S. 10th Street. 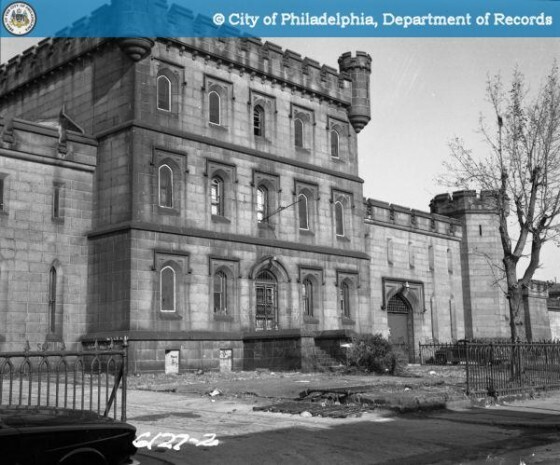 Indeed, the prison was fully operational until 1963 and is seen in the Department of Records photo here below just before its destruction five years later. 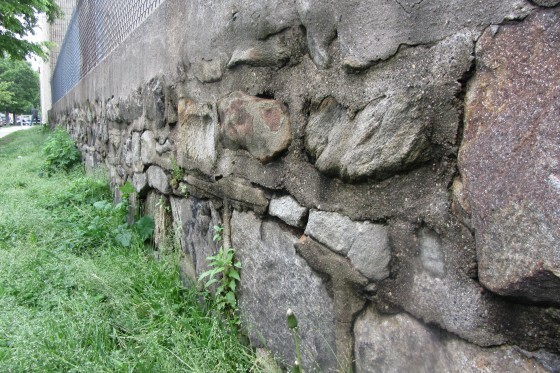 Today, all that remains is this small length of exterior wall visible along Reed Street.